Richmond, B.C. – October 23, 2017 – Corvus Energy is pleased to announce that it has been selected by Wärtsilä as the supplier of a lithium ion based energy storage system (ESS) for the world’s first full service hybrid fish farm processing and transport vessel. The Orca Energy ESS from Corvus will supply electrical power to the vessel’s propulsion system to enable environmentally-friendly and lower cost operations. Wärtsilä has been contracted to deliver the ship design and hybrid propulsion system for the vessel to be built at the Balenciaga shipyard in Spain, on behalf of Hav Line AS of Norway. The vessel is scheduled for delivery in summer 2018. The Wärtsilä hybrid propulsion system utilizing the Orca ESS from Corvus benefits both the environment and the ship owner through the reduction of emissions and operating costs. As the leading manufacturer of energy storage systems for maritime applications, Corvus continues to lead the industry with 100+ projects utilizing a Corvus ESS, now totaling over 75MWh and 1.5 million operating hours. Richmond, B.C. 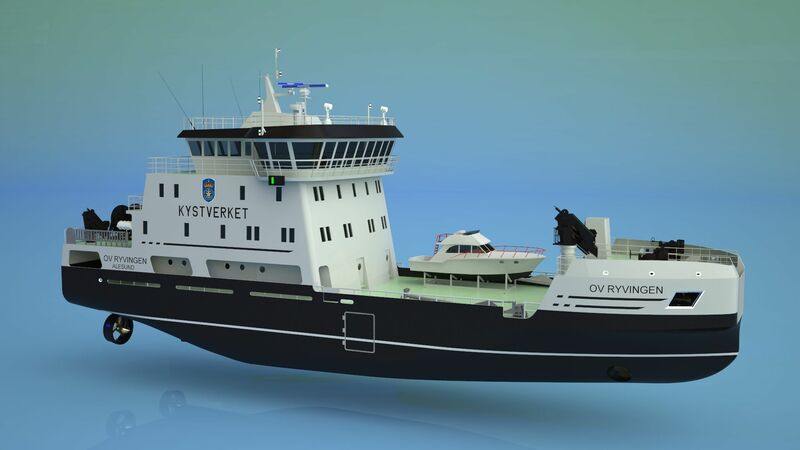 – October 9, 2017 – Corvus Energy is pleased to announce that it has been selected by Rolls-Royce as the supplier of a lithium ion based energy storage system (ESS) for the Norwegian Coastal Administration’s new multipurpose vessel OV Ryvingen. The Orca Energy ESS from Corvus will supply electrical power for all-electric propulsion and for electrical needs while docked. The OV Ryvingen is the Norwegian Coastal Administration’s second vessel to combine traditional diesel power with battery-driven operation and the fourth vessel in the Norwegian Coastal Administration’s fleet renewal programme, consisting of six to eight ships in total. The Ryvingen is a multipurpose vessel, which performs operations relating to oil spill protection and the maintenance of shipping lanes. The Orca ESS that Rolls-Royce will equip the Ryvingen with will have an available capacity of 2938 kilowatt hours (kWh). This will allow the Ryvingen to run on battery power alone for several hours, without using the diesel engine. In addition, the batteries will provide power when the vessel is docked, so the diesel engines will not have to be kept running. The batteries will be recharged from an onshore power supply in ports where this is available. The complete equipment package will also cut noise and vibration levels on board, making the Norwegian Coastal Administration’s newest vessel, a better workplace for the crew. The 46.6m long and 12m wide OV Ryvingen is scheduled for delivery towards the end of 2018. Richmond, B.C. – October 4, 2017 – Corvus Energy is pleased to announce that it has received Type Approval by DNV-GL for its Orca Energy energy storage system (ESS) for use in battery-powered or hybrid vessels and off-shore units. DNV-GL approval confirms that the latest generation of ESS from Corvus Energy has been found in compliance with international standards, regulations and recognized DNV-GL rules. This approval also confirms the high quality and safety standards that Corvus has designed into Orca Energy. Richmond, B.C. – October 2, 2017 – Corvus Energy is pleased to announce that it has been selected as the supplier of lithium ion based energy storage systems (ESS) for two platform supply vessels (PSVs) being retrofitted with hybrid power systems. The Orca Energy ESS from Corvus will supply electrical power to each PSVs propulsion system electrical network to enable environmentally-friendly and lower cost operations. 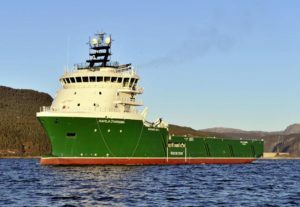 The two Havila-owned vessels are part of a larger group of PSVs that were awarded long-term charter contracts by Statoil, under the condition that they convert to hybrid power operations using batteries. The 94m Havila Foresight and the 93m Havila Charisma will each be fitted with a 1000kWh Orca Energy ESS from Corvus, supported in part by the NOx fund. 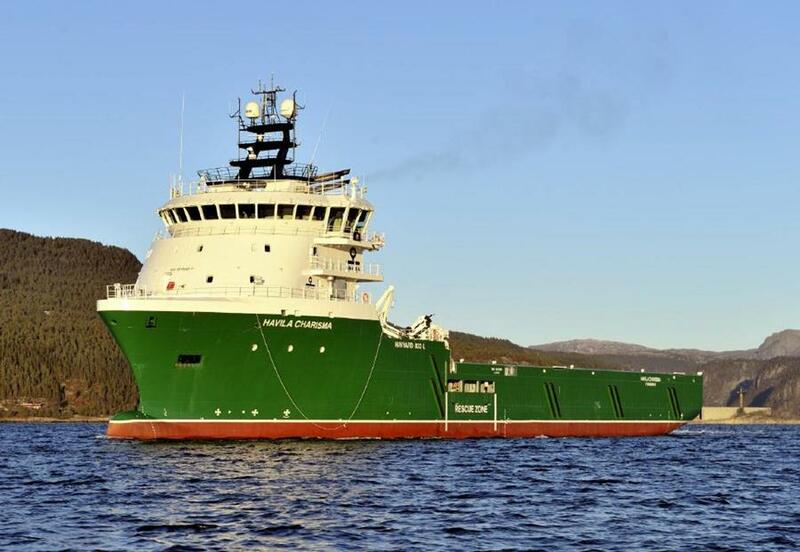 With these 2 additional vessels, this now makes 6 vessels awarded to Corvus, under charter by Statoil. The hybridization of these two vessels is part of Statoil’s ambition of being a leading company in carbon-efficient oil and gas production. Statoil is focusing on reducing emissions from their logistics activities and has mandated that all new charters shall utilize energy storage systems during all aspects of the PSV’s operation, particularly during dynamic positioning and harbour operations where fuel consumption and emissions will be significantly reduced. Equally important to the ship owners and Statoil, the ESS will increase safety through provision of spinning reserve for improved response time as well as increased redundancy. Corvus Energy provides high power energy storage in the form of modular lithium ion battery systems. Its purpose-built, field-proven battery systems provide sustained power to hybrid and fully electric heavy industrial equipment, including large marine propulsion drives. For more information, please visit www.corvusenergy.com.